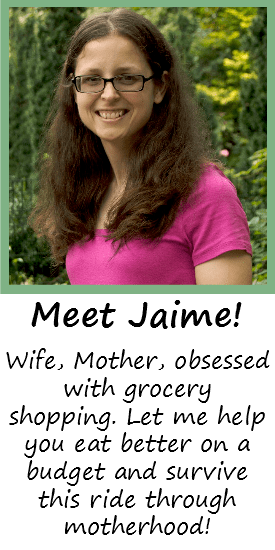 What’s the hardest part for you when it comes to grocery shopping? Is it coming up with meal ideas? Is it the entire planning process? I used to be overwhelmed, too. These people need to eat every week? It almost seemed like too much work. 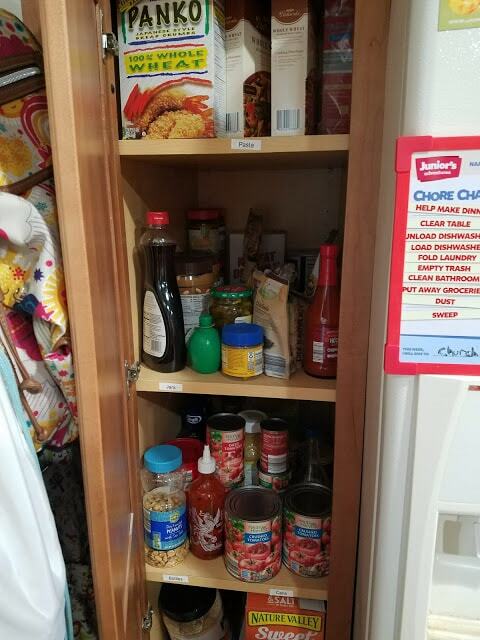 Over time, I developed a system that I now follow each time I create my grocery list. And now I want to share it with you, step-by-step. This is what I do every week to create my list and make sure I leave nothing out. Plus, there’s a handy checklist you can print out at the very end, so make sure you keep scrolling! Emergency meals are for the times when you’re either too low on funds to buy ingredients for dinner, or something comes up and you can’t make your planned meal. This can include frozen pizza, frozen chicken nuggets, or meals that you’ve frozen ahead of time (Individually portioned containers are amazing for this!). I always try to keep at least something in the freezer I can pull out and cook real quick. It’s not usually fancy, but it’s better than going out to eat and spending money. Have you ever tried the Flipp app? You type in your zip code and it will show you store ads from around your area. Type in something specific you’re looking for- like hot dogs- and the app will pull up every ad listing that has hot dogs for sale. This has been a lifesaver for me when I’m looking for the best deal! 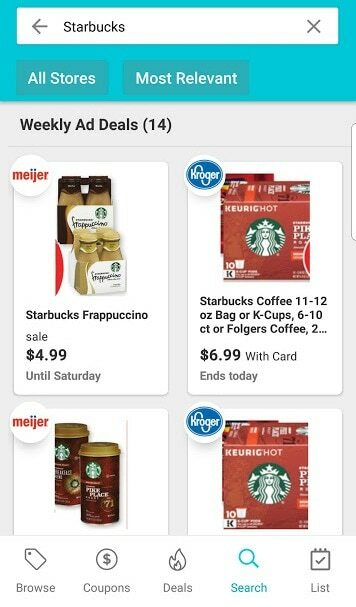 I always check Flipp when I’m ready to buy Starbucks coffee because places I normally don’t shop will usually have the lowest price. We always have at least one leftover night, so my family schedules 6 dinners. And while John and I eat leftovers for lunch every day, Allison does not- so I plan one lunch for her. If your family is larger, you may need to adjust. But I’ve found this works pretty well for us. After checking the Flipp app, you’ve hopefully decided where you’ll shop for the week. 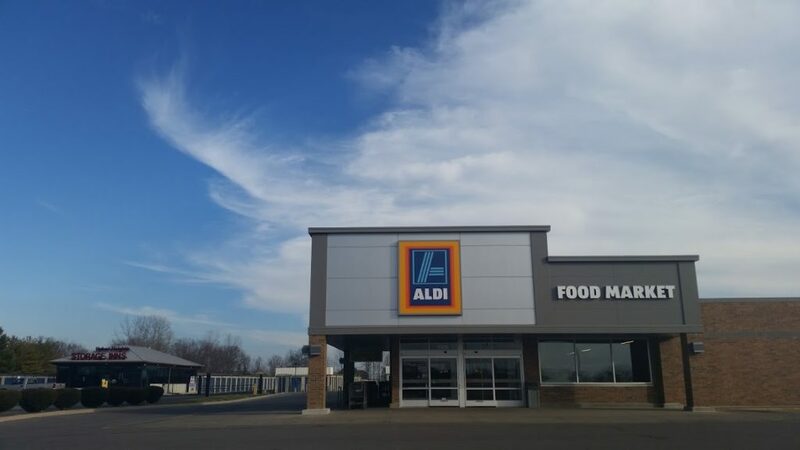 I do about 80% of my shopping at Aldi, with the rest being wherever items are on sale. That’s usually Kroger or Meijer, with Sam’s Club thrown in every so often. Try to stick with only 1-2 stores so you don’t turn shopping into an all-day affair. Especially if you have kids. I do most of my shopping when Allison’s in school, but if you’re unable to do that, then less stores is better. Once you’ve written out what you’ve run out of and have your menu in place, it’s time to comb over each recipe and write down the ingredients. Because I’m a nerd, I then organize all of the ingredients by aisle so I can be more efficient. This is especially helpful at Aldi, because the aisles are so narrow and it’s hard to squeeze past people. 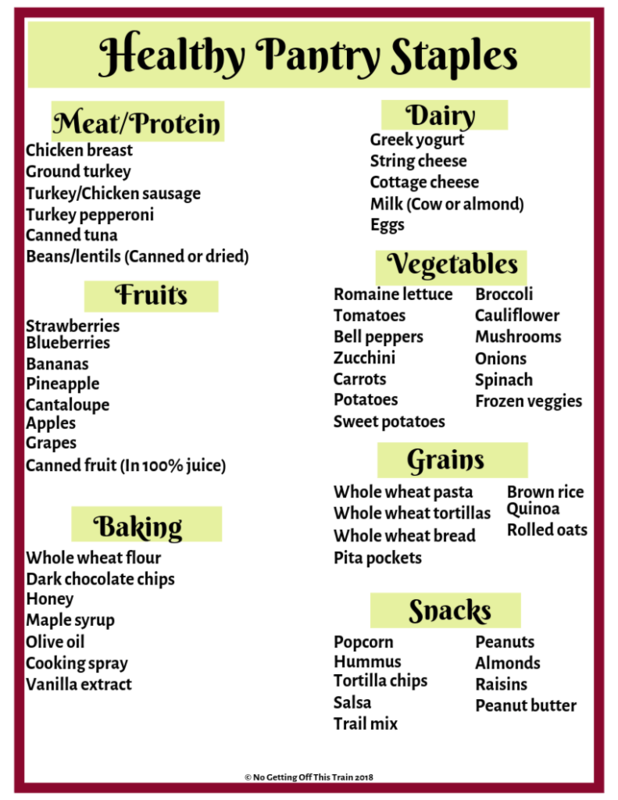 How do you make your grocery list? Some use pen and paper, but I like to use Google Docs. John and I both have access to this document, and whenever one of us makes a change it shows up immediately to the other person. This has been super convenient when we’re out and about and realize something needs to be added to the list. I’m not a huge couponer anymore, but I do check coupon sites to see if I can get a coupon for something I’m buying anyway. Or, if I see something on sale in one of the ads, I’ll check for coupons then, too. I hate missing out on good deals! Swagbucks coupons– It’s run on the Coupons.com database. But if you print the coupons through Swagbucks, you’ll get Swagbucks both for printing the coupon AND redeeming it. So it’s like extra cash back! I’ve written posts on Ibotta before, and I go back and forth on rebate apps. On the one hand, I say don’t buy things just to get a rebate. On the other hand, if you’ve wanted to try that product anyway, go for it. Ultimately, you CAN save money using rebate apps, and I’ve redeemed enough gift cards through them to say that it really works. Ibotta– One of my favorite features is the bonuses. You can earn extra money if you redeem a certain number of rebates, and I’ve taken advantage of that a few times- even earning up to $10.00 in one sitting! 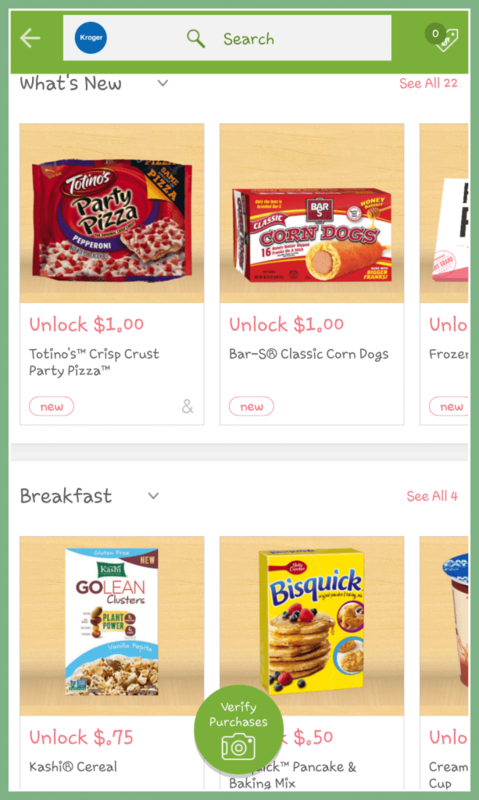 Fetch Rewards– This has quickly become a favorite app. Instead of clipping individual deals like with Ibotta, you just scan your receipts and the app will do all the work for you. You get points just for scanning, as well as bonus points for specific brands. Use the code PV2QH when you sign up and we’ll both get 2,000 points ($2.00) when you scan your first receipt! The last part is doing the actual shopping! Most importantly- especially if you shop at Aldi- is to remember your grocery bags. I’ve had many a tragedy, especially on huge shopping trips. And if you shop at Aldi, don’t forget your quarter! I have a cute quarter holder keychain so I always have a quarter with me. You can find something similar at this Etsy store! Now that you know my exact process every week, it’s time for you to step out and try for yourself! 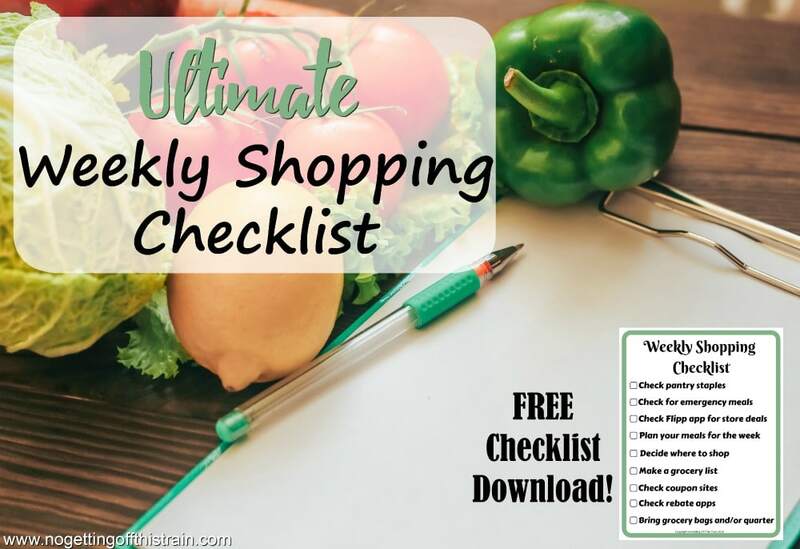 If it seems overwhelming, I’ve created a handy checklist for you to print and use every week when you’re preparing your grocery list. Just click the image to download it to your computer! 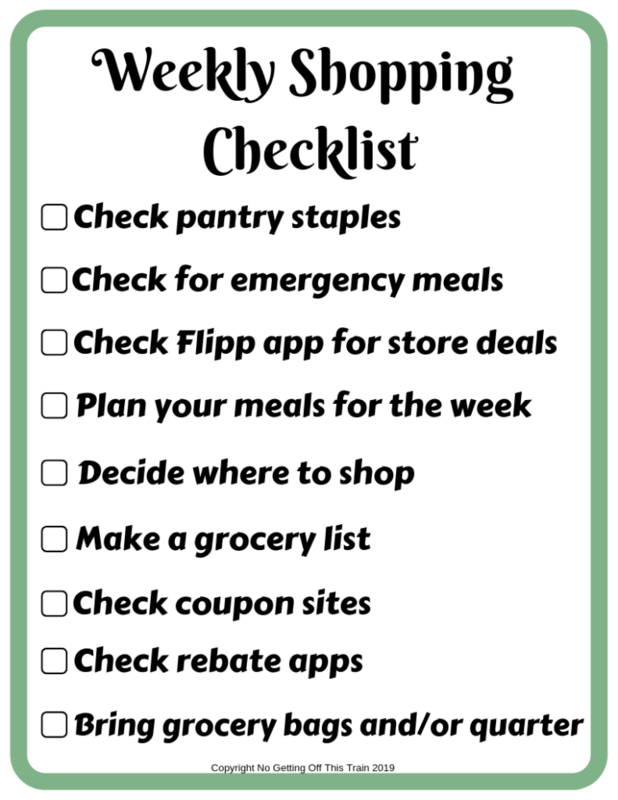 What other steps are included in your grocery shopping process? Leave a comment and let us know! CLICK TO DOWNLOAD YOUR FREE PDF! 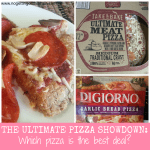 The Ultimate Pizza Showdown: Which Pizza is the Best Deal?